Lean methodology says: "You should start your business, only when you know it works." Don't have a time to test it? 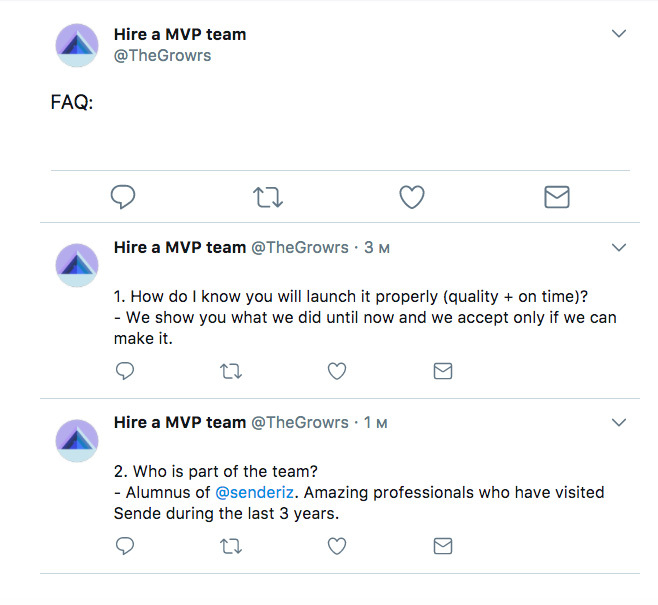 — Hire a MVP team (@TheGrowrs) 09. октобар 2017. Hire the team of professionals who will test and launch your idea. Together we launch that idea for you. You can Skype us or join the team. This idea was implemented last year for the in-house building of Sende programs. Come to the mountain, build your business in 9 days, go back home as a CEO of your new company.